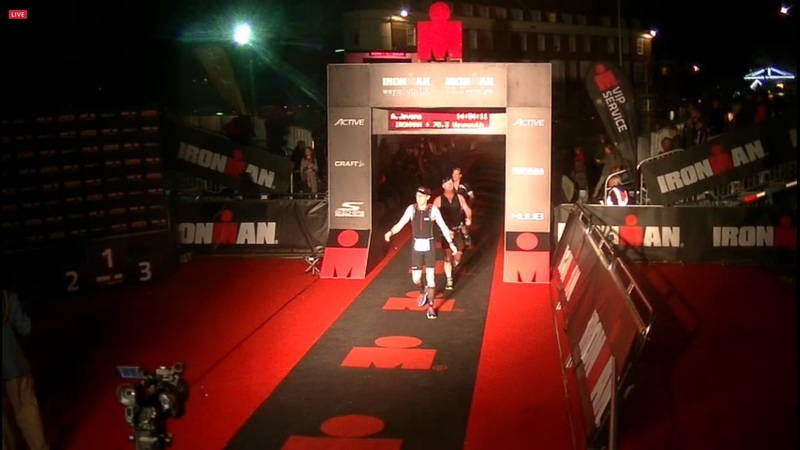 "Gregg, you, are, an, Ironman"
I found myself staring into the ocean, nervous but exited. 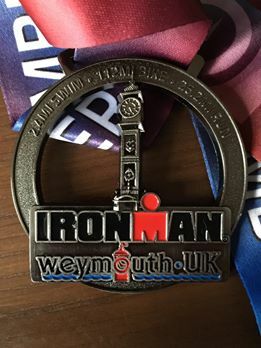 8 months of hard training had come down to this, Ironman Weymouth. Before I started training with Steve at Streamline Coaching I would have put myself in the “normal guy” category, not over fit but had completed a sprint triathlon. I knew as soon as I had signed myself up for a long distance course I needed a really train and so I got in touch with Streamline Coaching. Steve put a comprehensive plan together that lasted 8 months, within these months I booked some check point races to see how I was getting on the first being a sprint, second an Olympic and finally a middle distance before attempting the full or long stance race. The plan consisted of different swim, bike, run and brick sessions that both helped me increase the distance as well as speed me up. After each training session I would upload my stats so Steve could see how I had done. I found this extremely useful as I felt like I had someone supporting me, able to see how I did, pick me up when I was down or had a bad session as well as someone that I “reported” into so I didn’t want to let him down! It soon came apparent that Steve knew what he was doing, my first check point race I knocked almost 10 minutes off my PB in a sprint triathlon! Out of all three disciplines I find swimming the hardest, but Steve helped me a lot. Before training I struggled to swim more than 500 meters without being tired, but during a swim session with Steve he highlighted areas that I needed to work on and with his plan I managed to increase both the distance end enjoyment I now get out of the swim element. We all had to line up along the beach against signs of our predicted swim time. I felt confident and stood myself at the 1:30, “don’t rush its going to be a long day” was in my head. I would have loved to me further up the standings but I looked over my shoulder and there were plenty of others behind me. The horn went and we all started to shuffle into the water. The 70.3 racers started at the same time as us so there were in total about 2800 people being funnelled into the water, gosh it was an amazing site, but at the same time daunting! I started well, although there were a lot of people around me, and then it hit me, literally! I got a massive kick to my nose and my goggles lifted. Instantly I felt a warm sensation, oh no please say not a broken nose! I flipped onto my back but kept kicking so ensure I didn’t cause to much of a pile up, checked to see if there was blood which thankfully there wasn’t. The kick had shaken me and brought me out of the water enough for me to get my first “can I do this” go flying through my head. I kept calm and told myself you can do this, I could almost imagine Steve saying just keep moving so I did exactly this. I re-positioned my goggles, which actually had been cleared with the water, realigned myself and started heading for the next bouy. The first loop of the swim actually became enjoyable, people started streading out and I was out the water in good time, we then had to run along the beach and do the whole thing again. This time there were a lot less people as the 70.3 athletes left to head for their bikes. I felt strong and didn’t even think about getting back into the water. I got myself into a good rhythm, and hit the first bouy quickly, but I started getting tired and started slowing down. I felt the current pulling me back but I would not be defeted. I split the course up in my head by just aiming for the next bouy and eventually found myself staring at the beach. I got out of the water feeling a little tired, heart rate was high but most of that was just the adrenaline! I picked up my glasses from the exit table and made my way to the transition area, the support was great with people clapping and cheering. I even got a shout out from Paul Kaye asking if I swam in my glasses, which lighted the mood and made me laugh. I got to transition, I had decided I wanted to wear a cycle top to take advantage of the large pockets and my tri top didn’t have shoulders (I was thankful of this as it got hot during the day). I loaded my pockets up with the gels, and got myself comfortable and headed onto the bike. The ride out of Weymouth was great with the support again, and the first loop of 56 miles went very quickly. I kept up with my nutrition plan that I had discussed with Steve before starting, a gel every half an hour followed by a Nutrigrain and then back onto the gel. This was a great tip, I didn’t get hungry which was one less thing to think about through the day. I was also drinking about 500 ml an hour using a electrolyte concentrate that I mixed up the night before where I added a measured out to water as I rode. Again another good tip from steve. I needed a few “pit stops” through the day so I knew I wasn’t dehydrated, and the porta-loos were ok so I felt good. I found that almost every type of emotion was felt during the ride, I guess this was down to being tired with getting up at 4 with a mixture of excitement, and adrenaline. I found myself crying for about 5 minutes just because my mother and father in law had come all the way to support me on the bike route. How odd! Once I had hit the 100 mile mark I started to tire out but in my mind I kept saying to myself, just keep going. If this was easy everyone would do it, this is an Ironman Gregg! I made it into transition ready to tackle the run, there were a few others there all with a great story to be told, but I got myself dressed into my tri top, some nice new socks and headed out onto the run. I had opted to try and use the food stations which I thought would be a goof way to split up the long run ahead. I tried not to think about how far I had to run, but the Weymouth run was mentally tough. Although flat you can see the whole run from one end to the other and with 4.5 laps to be done it was tough. The first lap I got chatting to a few people, it kept me going and my mind off the task ahead, but after a lap and a half I realised I had made a mistake. The gels available did not agree with me, I had failed rule 101 “don’t do anything that you haven’t tried before”. What was I doing, I had filled up a running water bottle with electrolytes that I had not used and the gels were making me feel sick. I then failed again, because I couldn’t stomach the gels I stopped eating in fear of being sick. It was luck that I realised what was happening. As I passed my family I yelled for a message to get to my Dad (who was sitting in the special needs zone of the run…. About 4 miles away!) to be ready with the gels I had filled my bag with. By the time I got to him I was a mess, I tipped the drink away and opted for water and threw a gel down my throat. Within 15/20 minutes and sipping on water I felt like a new man. But I knew I only had a finite amount of gels. I worked out whilst running I had enough for 3 per lap minus the last half a lap (around 6 miles I think). My gels sat so much better, and although I was tired I just kept moving, taking a speed walk through each food stop topping up my water. Things were good. I even found myself running with my brother who was also on the track for about 10 minutes but had to leave him as he was battling and just couldn’t keep up (although he was a whole lap ahead). By the time I reached the last lap it was dark, but I knew it was just around the corner, I managed to reach the last turn and new I didn’t have enough gel but what was 5 miles after 135 that I had just done, I ran the last 5 miles probally better than the rest of the race. I knew I was going to cross the line. 14:56:18 after I started the race I crossed the line. GREGG, YOU, ARE, AN, IRONMAN. I felt amazing, friends and family were proud and I knew Steve would be also. I got a message from Steve within 10 minutes I think saying he had watched me over the line on the Ironman website which was great to hear as I know he had put a lot into my training so it must have felt almost as good as it did for me. I couldn’t have done this without Steve at Streamline coaching, and cannot wait to do it all again! I would recommend Streamline any day of the week and will definatly be working with them again, once I have worked out what my next adventure is! !